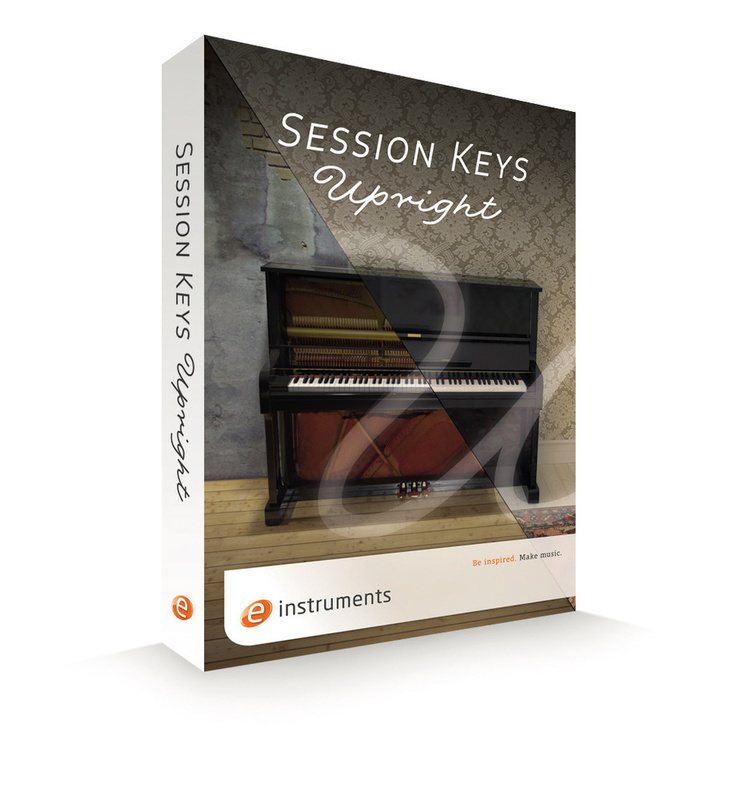 E-instruments’ Kontakt-hosted Session Keys Upright (SKU) weighs in at a substantial 40GB uncompressed (18GB compressed on your hard drive), around four times larger than other Session Keys instruments. SKU therefore has plenty of headroom to focus on sound quality and detail, presenting two contrasting sample sets of the same instrument within the one package. The two sets, ‘Open’ and ‘Closed’, selectable from the GUI, employ different miking and tuning, offering two distinct personalities. The Open set was recorded with the front cover removed in a live-sounding room, giving a lovely, wide stereo image (in the player’s perspective). Each note was carefully detuned within the bounds of good taste and musicality, giving this version the bright, chorusy character usually associated with uprights. The Closed set takes a contrasting approach, recorded in a dry living room with the piano’s front cover in place. The tuning is more accurate, and although the mic placing is closer, the stereo image is less pronounced than the Open set. It packs plenty of punch, though, making it a good choice for standing out clearly in a busy mix. Both sample sets feature control over the level of the piano’s soundboard resonance, sympathetic resonance, pedal noise, key noise and release samples, plus attack and decay envelope controls — all found under the Tonality tab. SKU’s dynamic response can also be tailored to suit your particular keyboard, with a Timbre control to adjust the bias towards lower-or higher-velocity samples; the central position delivers the full dynamic range. For those with the appropriate pedals to hand (or foot), SKU obligingly responds to sustain, sostenuto and soft pedal commands. 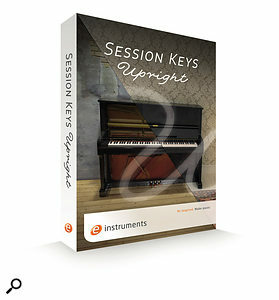 Common to all instruments in the SK range, SKU also features additional independent sample layers — mechanical noises and reverse samples — controlled by the Pentamorph, Session Key’s signature widget for controlling the relative mix between layers in real time, and central to the SK instruments’ sound design potential. A detailed description of the Pentamorph can be found in the Session Keys Electric R review in the December 2015 issue of SOS. Combining various Pentamorph positions with the onboard effects brings forth truly otherworldly textures. As well as a three-band EQ, Compressor, Delay, Stereo-width control and a convolution Reverb (provided with 25 impulses), there is the intriguing Color control, unique in the SK range to the Upright. This offers 22 different effects — titles such as Ice Cold, Haunting, Distortion and Psychedelic offer some clue as to their nature — and an intensity control. They appear to be preset effects chains, quite possibly including unusual convolution impulses, but without looking under the hood to find out (the editing tool is locked, so you can’t) it’s not clear. Whatever the processes may be, there are some pretty radical treatments here to warp and distort the piano, potentially beyond recognition. Also (as featured in other SK instruments) are the Animator, a library of pre-programmed MIDI files in various styles, and Smart Chord, a one-key chord creation tool. Further descriptions of these can also be found in the aforementioned SK Electric R review. It all adds up to a great-sounding and very playable instrument with lots of creative sonic potential.